Today, Black Clover: Quartet Knights has finally been released on the PlayStation 4 and PC. Curious about what that entails? Well, fortunately it has a launch trailer to go with it. Take a look at this introduction to Black Clover: Quartet Knights. The opening quote really sets the tone for this game: “I don’t have any Mana, but I’ve still got my friends.” With an emphasis on magic and combat, Black Clover: Quartet Knights is about being a team, both in terms of the story and theyway you experience it. While we’ve already met some of the characters, this launch trailer reveals the grandiosity of the cast. Each character is classified as a fighter, a shooter, a supporter, or a healer. Things kick off with Asata, a fighter, striking viciously with his sword. This is followed by Noelle Silva’s arrival as a support character, casting spells and creating protective barriers. We see Magna Swing jump into the action as a shooter, and Charmy Pappitson appear as a powerful healer. 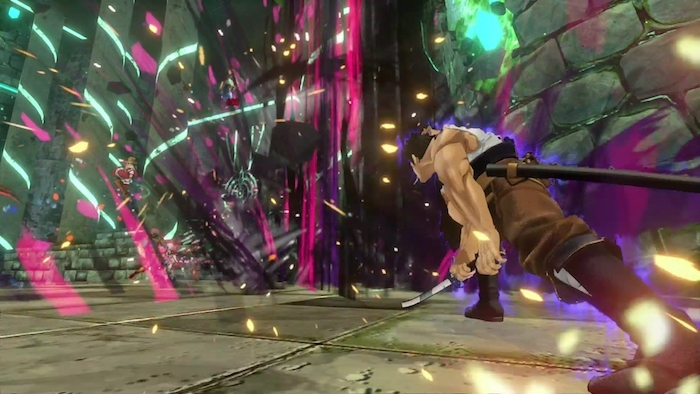 The entire trailer is a montage of combat moments highlighting the different characters and classifications. In total, about fifteen characters get a brief moment in the spotlight. Black Clover: Quartet Knights combines magical powers with third-person shooter gameplay. Target your enemies using your magic sights and unleash your powers to inflict massive damage. Band together with three friends to compete in thrilling four-on-four battles across three unique gameplay modes that will test you and your team’s ability to strategize in different ways. It takes more than brute force to win a match in Black Clover: Quartet Knights. Clever tactics are also key when facing off against fierce enemy squads. To that end, players can choose from different characters from across the Black Clover universe, each serving a specific role such as fighter, shooter, supporter, and healer, all of which offer unique strengths and abilities to their teams. A good, complimentary balance of character types and individual specialties on a team goes a long way to attaining victory, so choose wisely!